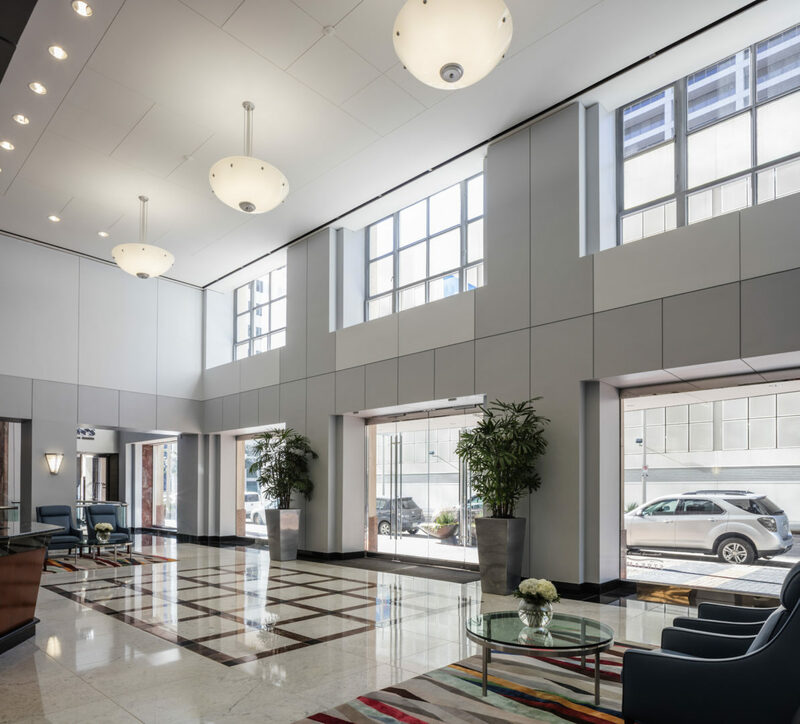 The assignment for the 1001 McKinney project was threefold: reinvent the on-street presence from McKinney street, modernize key common areas throughout the building, and comply with stringent Houston Archaeological and Historical Commission guidelines. 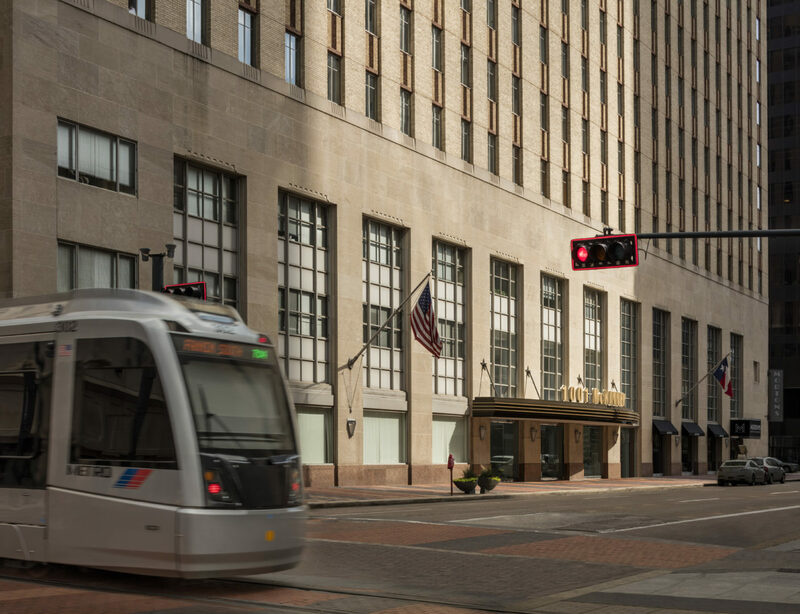 Despite the prime location, between Main and Fannin, and the historic significance of 1001 McKinney, newer buildings and retail storefronts with bright signage overshadowed the formerly prominent entrance. 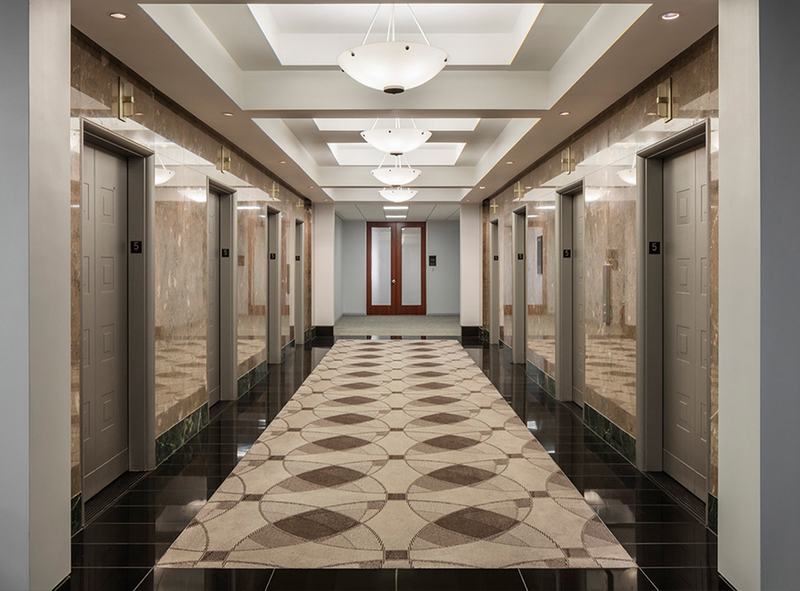 In fact, 1001 McKinney was known as the “Morton’s Steakhouse building” prior to this renovation. The signage for the restaurant was the most notable signage on the building. 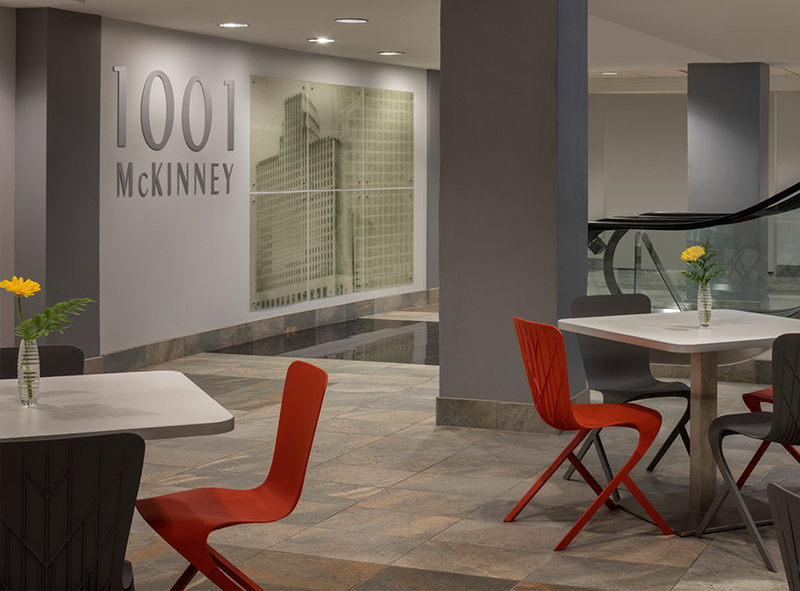 1001 McKinney needed an entry that would double as branding for the building. 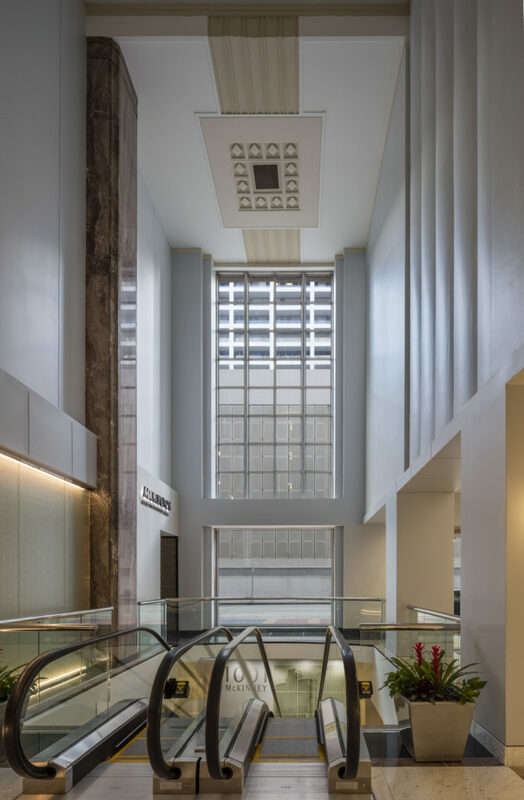 To maintain Class A business standards and to remain a sought-after office location, the common areas of the building such as the first-floor lobby, pedestrian tunnel connection, food court, and the fifth-floor sky bridge lobby needed an update. To add the final layer of complexity to this project, all proposed changes and updates needed approval from the Houston Archaeological and Historical Commission.